If you are a master craftsperson by trade, then you are going to be needing supplies easily at the ready--especially if you are part of the steampunk movement and facing post-apocalyptic realities all while traveling through time! But have no fear. 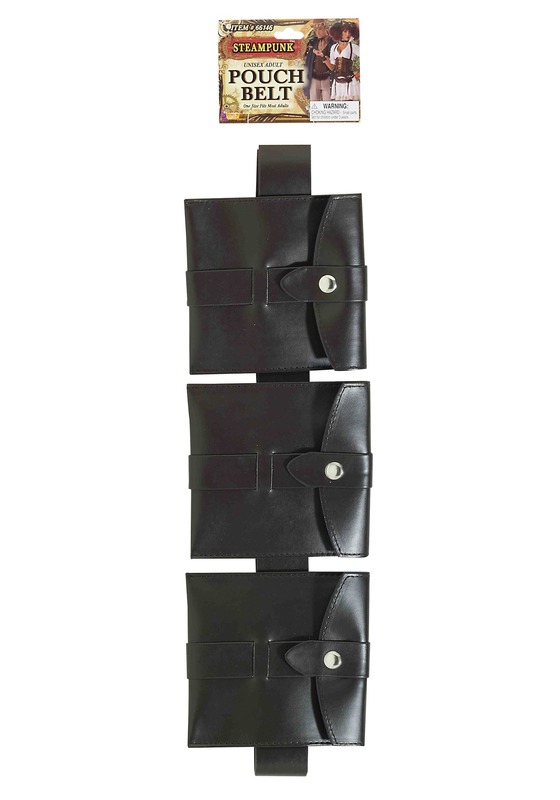 This Steampunk Pouch Belt will be like the engine that keeps you going for the long haul Halloween night! 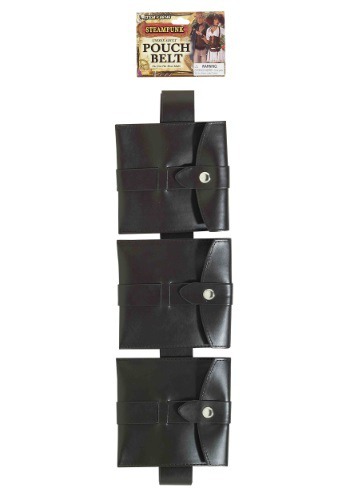 In each pouch of this faux leather belt, you can stow a separate survival tool and secure it with a button that snaps closed. This is a huge relief, knowing that at any moment you could be called upon to fix or repair something! Remember the credo of the steampunk craftsman: Keep your tools close and your belt closer. Looks like you’re on the right track! Full steam ahead into Halloween. Good Material, needs abit more length. Its a great piece but had to combine it with another belt to fully wrap around both my waist and or chest as a bandolier.